Almost 3,000-year-old technique of healing, Acupuncture is a part of broader health care system i.e. Traditional Chinese Medicine. 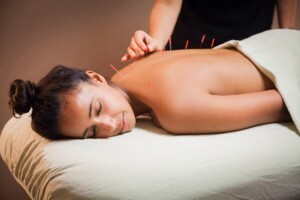 Acupuncture is used as an alternative treatment methodology to conventional medicine. Over the years, it has gained reputation as an effective alternative treatment to a wide range of diseases and is practiced by both acupuncturist and doctors of mainstream medicine. Acupuncture is based on an ancient philosophy that describes the functioning of the body in terms of two opposing energy forces: yin and yang. When these two energy forces flowing across invisible channels (called as meridians) are in balance, the body enjoys good health. However, when the flow of energy gets blocked, body may suffer from pain, or become function-less. Acupuncture therapy that involves insertion of very thin needles at certain strategic or acupuncture points in the body helps in releasing blocked qi and evoke body’s natural healing mechanism. Today, patients try acupuncture when they have either suffered collateral damage as a result of over consumption of prescription drugs or when doctors of conventional medicine have affirmed their discomfort to be unfix-able. If you are looking to seek the services of an Acupuncturist in Rochester, NY, make sure you seek the services of a reliable service provider. Effective Relief from Pain: A recent study conducted suggests that more than 60% of patients suffering from pain caused as a result of musculoskeletal problems such as back pain and neck pain, and migraine or tension headache have witnessed noticeable improvements in their condition. Without any Side Effects: This treatment alternative comes with little or no side-effects as very fine and sterile needles are used during treatment. Additionally, patients undergoing treatment experiences little to no pain while enjoying several health benefits. Treats the Root Cause: Acupuncture treatment not just focuses on patient’s current condition, but aims to treat the underlying root cause of a particular disease symptom. Personalized Treatment: An acupuncturist doesn’t treat the disease; it treats the individual as a whole. No two patients are given the same treatment for the same discomfort. They take into consideration every detail about you before offering treatment that facilitates body’s own healing ability. So, if you are willing to keep your pain at bay and enjoy holistic well-being, visiting a licensed Acupuncturist in Rochester, NY, can turn out to be one of the most effective strategies for your overall well-being.